Party Submissions: Mimi’s Dollhouse loves highlighting unique and creative parties. We love all types of parties including birthdays, showers and other special occasions. Here is some helpful information when it comes to submitting your party photos for feature on our site. Include a brief description of the party (your words will be used in the feature) that includes any highlights or unique aspects of the event. 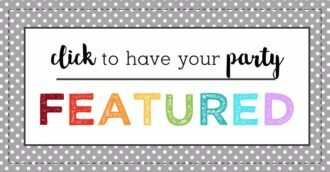 We also love hearing how you picked your party theme! Preference for features will be given to parties that have high quality,beautiful photography. To have the best chance of being selected for a feature, please make sure your photos are at least 600 pixels wide. Submissions do not need to be exclusive. Submitting photos gives Mimi’s Dollhouse permission to post photos and party details on our site and use in internet and print promotion including but not limited to social media postings. While we would love to feature every party submission we receive, it is not always possible. Please know that not being featured is not a reflection on the party or an indication that we did not like it. It may just be the wrong season, we may have featured several similar parties or the editorial calendar may just be full. All submissions chosen for feature will be notified within 2 business days.